In his third season in ACB, when he was playing Caja Laboral, a little over half of the first round, I thought about creating a fans club. English was (and is, of course) an inspiration for me and, apart, he is a player that surprises me. I thought it wasn't a bad idea, because it's the least I could do for him ... Bringing all the fans he could have and the chance for having another more support. And I did it ... Key date: December 20th, 2009. The next year, when he joined in DKV Joventut, I thought it was time to "formalize" the fans club. It really scared me a little bit, because I thought Carl would tell me that not because of for any reason... But I was wrong. I also had the hope that I might have those "sheets" signed ... Another date: December 29th, 2010. 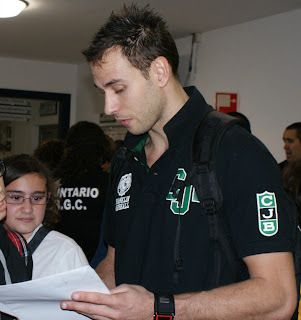 The day that he came with DKV Joventut to play against Gran Canaria... I fullfiled my dream. And, it may sounds something "geek", but really ... I still can't believe it. He signed authorizations... And honestly, I don't regret about it. 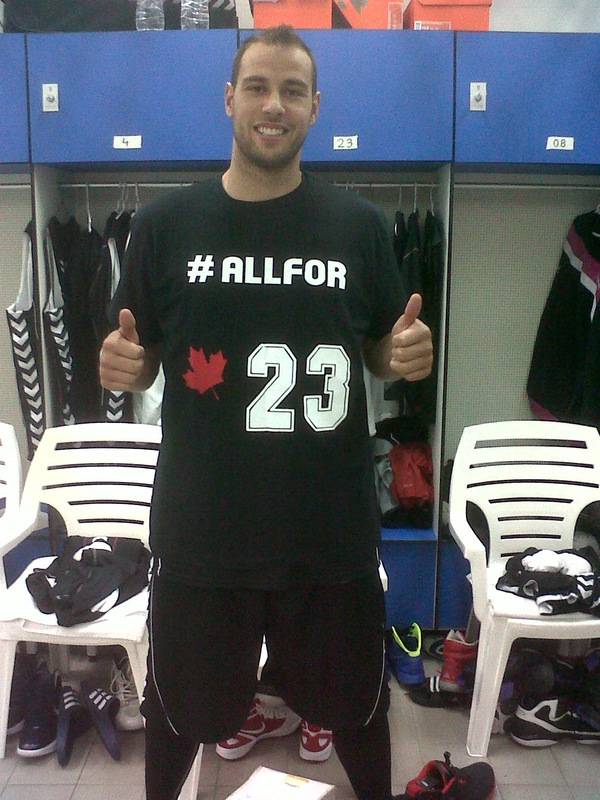 I had decided to make some t-shirts for all fans and I decided to send one to Carl... I sent the t-shirt to the team and this was the result... For me, the two images identify this fans club. From here, sincerely, THANK YOU ALL. 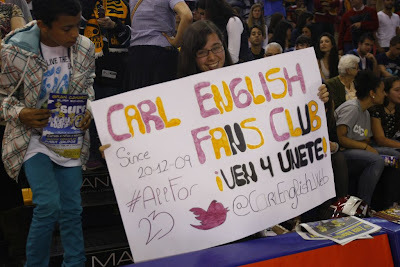 And when I mean all, I mean the teams where he has been during this time that the Fans Club was created (Caja Laboral, DKV Joventut, Cajasol Banca Civica and now Asefa Estudiantes), to U1st Sports, to the ACB (it also has brought his little help), each of the members of this fans club (more than 150), Rocío of Henk Norel Fans Club, Carol of José Manuel Calderón Fans Club, Ana of Txemi Urtasun Fans Club, to all the followers of the Fans Club on Twitter... And also my parents. And other more people I can't mention here because I wouldn't never finish... But they know who are the ones that has supported me and respect my effort and dedication... There has been some people too that hasn't respect those things insulting and unrespectting all my "work"... But well, as the people say: "Turn a deaf ear to foolish comments." And also I would like to mention to the most important person here: Carl. Laura González, the president of the Fans Club.